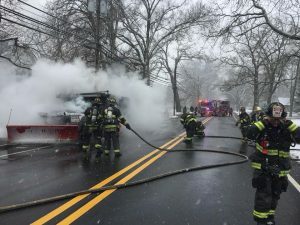 in the midst of last weeks snowstorm, The Wyckoff Fire Deprtment was requested to respond to the area of Cedar Hill ave and Route 208 for a reported truck fire. 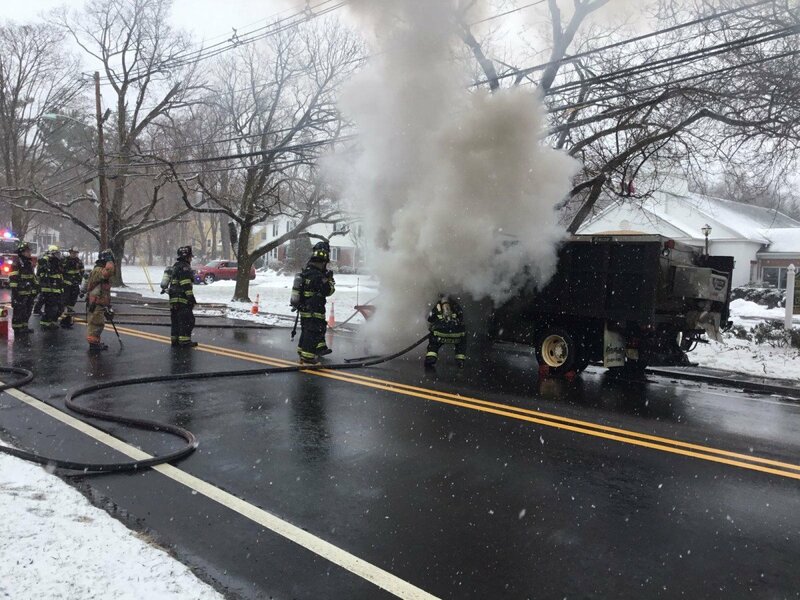 Engine 234 arrived on scene to find a wel involved engine compartment/passenger compartment fire on a mason dump type vehicle. 2 lines were stretched and the fire was knocked quickly.